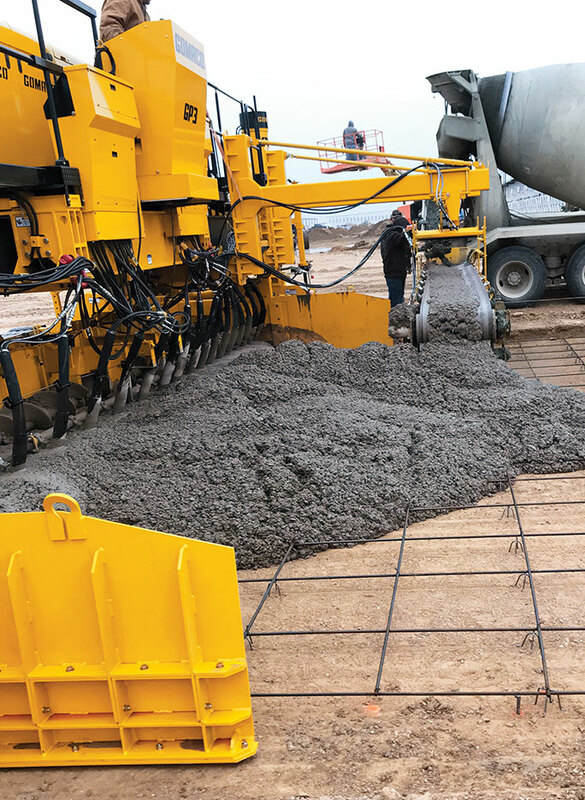 A GOMACO RTP-500 places concrete over the median barrier as the GP3 slipforms half-width pavement over continuous steel reinforcing on the Interstate 35 East project in Waxahachie, Texas. 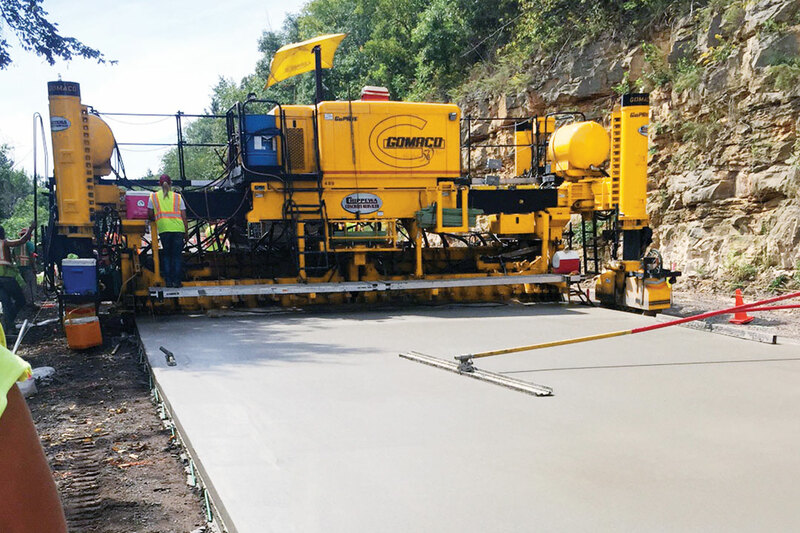 The first GP3 manufactured by GOMACO slipforms 24 feet (7.3 m) wide while paving a five percent uphill grade. 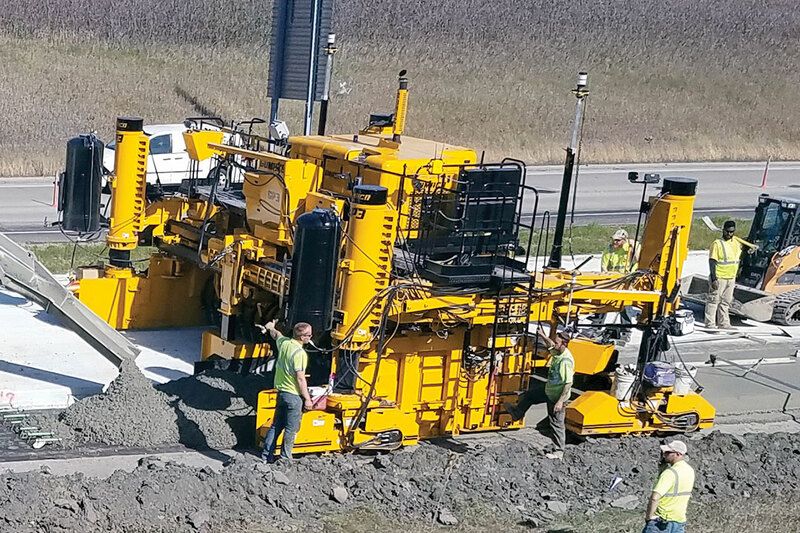 A GP3 with a spreader plow slipforms a new ramp on Interstate 94 in Alexandria, Minnesota. 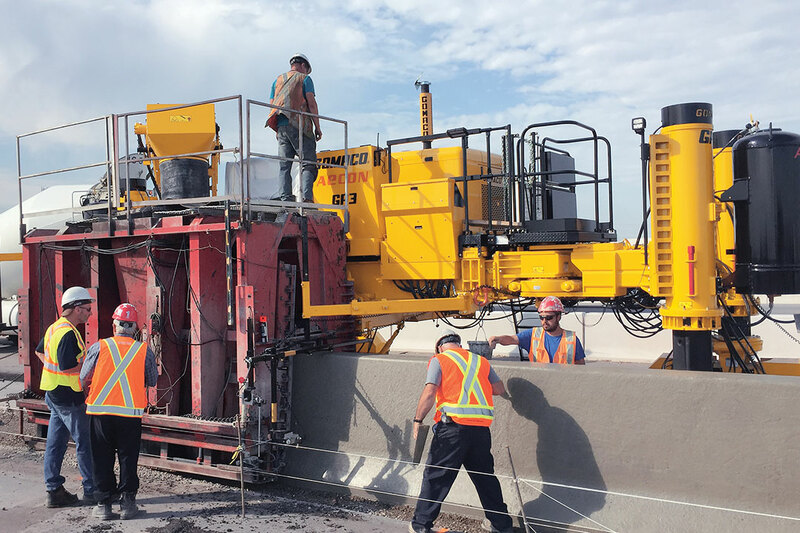 A GOMACO GP3 is equipped with a sidemounted variable barrier mold to slipform barrier on a project in Milton, Ontario, Canada. 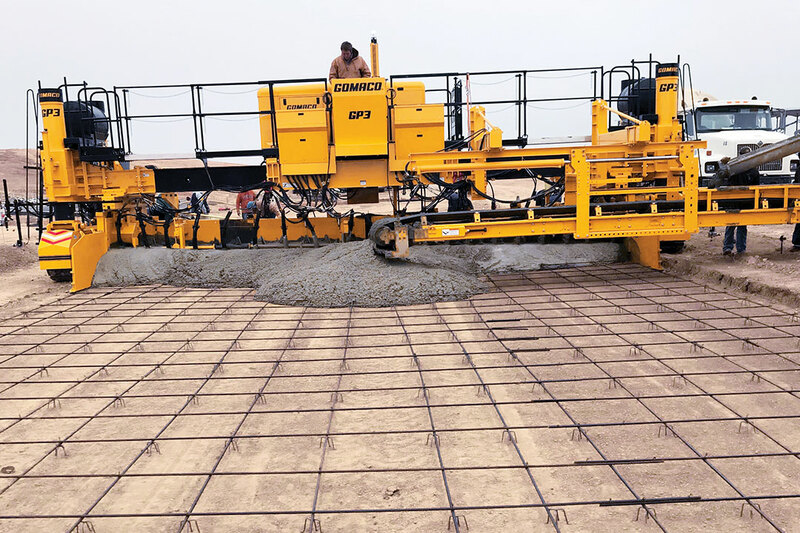 A conveyor for loading the mold is mounted to the paver’s endcar. 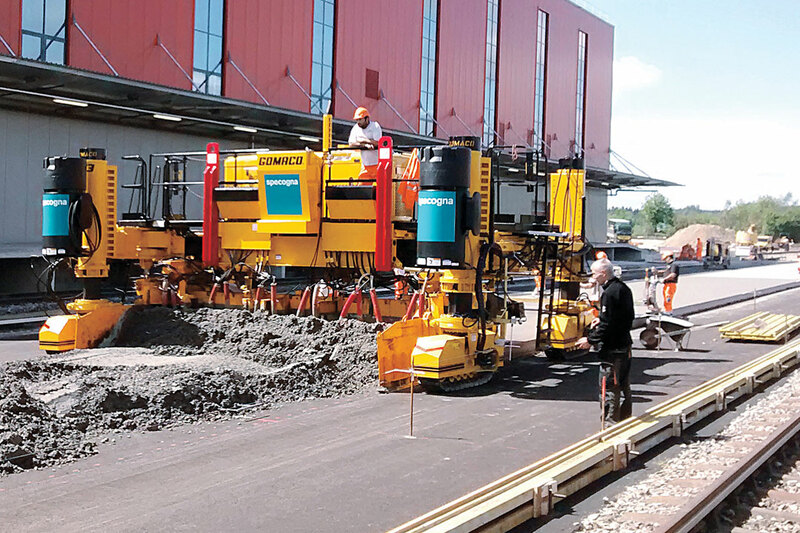 In Switzerland, a GP3 paved its first project in the town of Rothrist before being moved to a project at the Zurich Airport. 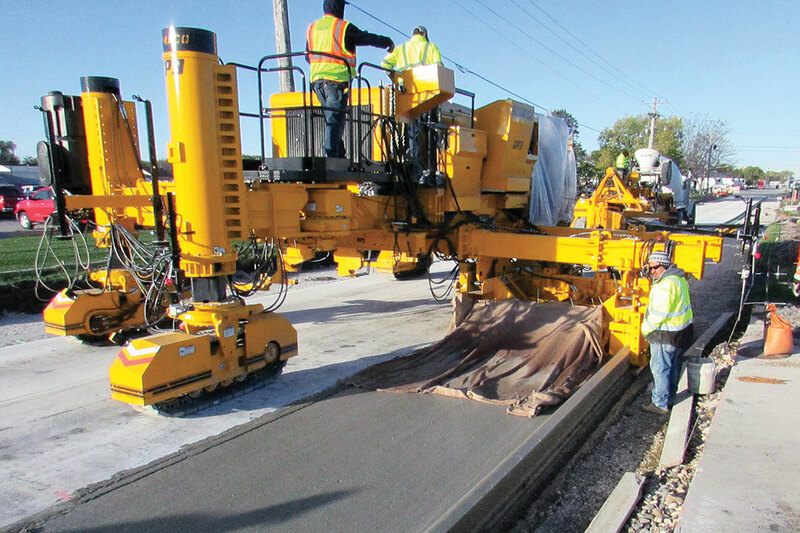 A new shoulder with integral curb is slipformed with a sidemounted paving mold on a GP3 in Storm Lake, Iowa. 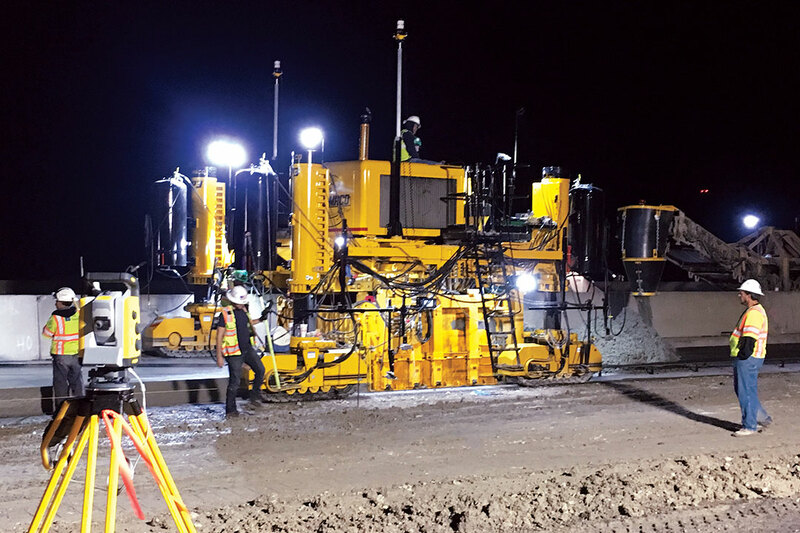 A two-track GP3 with a front-mounted conveyor is slipforming 28 feet (8.5 m) wide on a new development project in Dalhart, Texas. 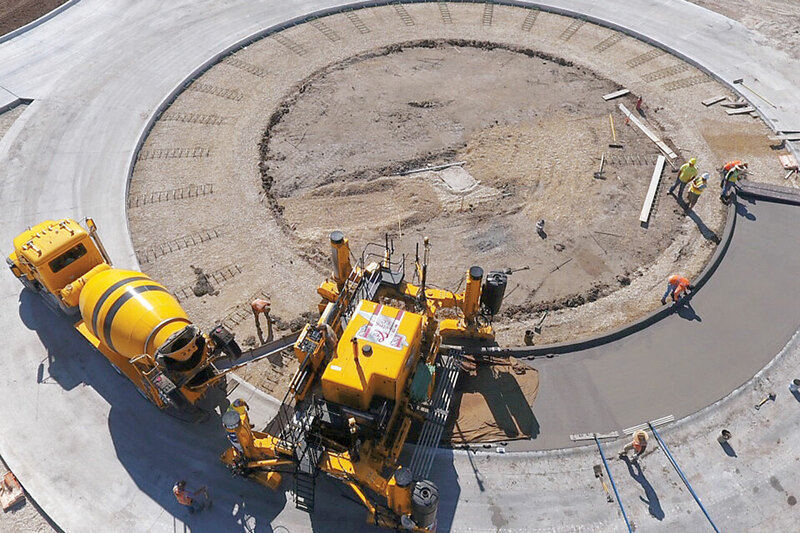 A new roundabout is slipformed on Kirkwood Boulevard in Cedar Rapids, Iowa. The GP3 slipformed the first lane 21 foot (6.4 m) wide around a 49.3 foot (15 m) radius. 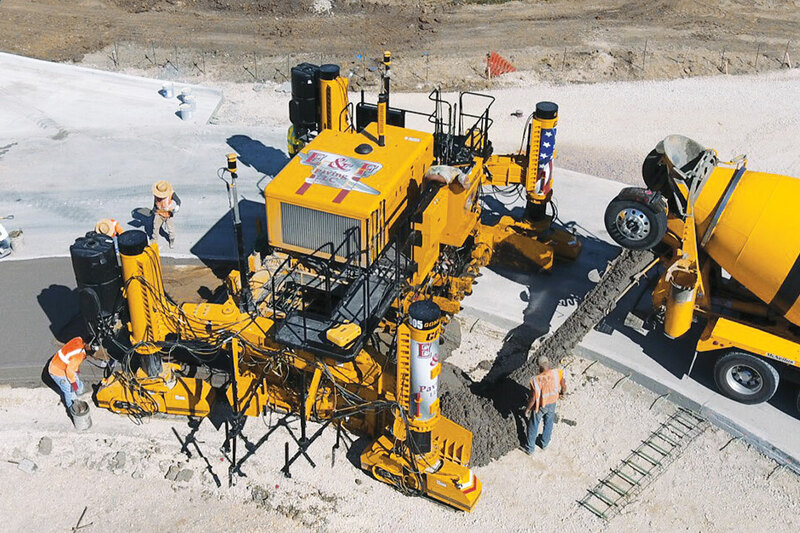 During the second paving pass with the GP3, a 12 foot (3.7 m) wide truck apron with integral curb was slipformed around a 37.3 foot (11.4 m) radius. 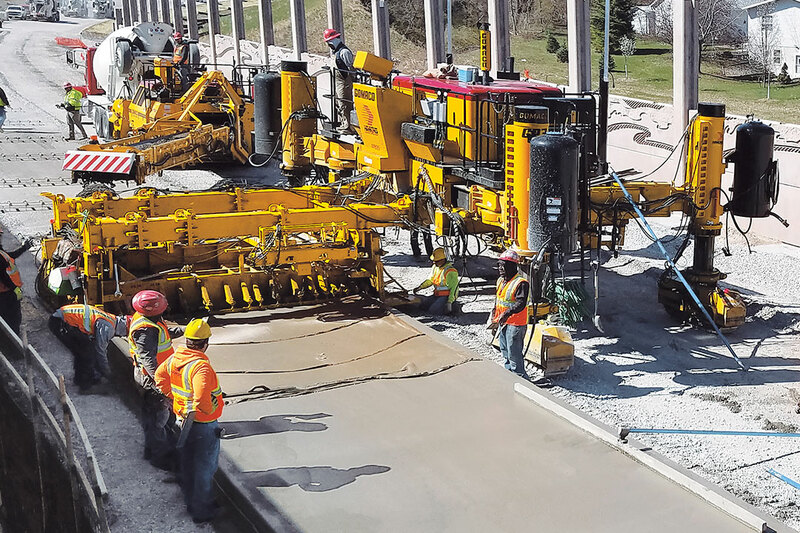 An RTP-500 places concrete in front of a GP3 with a 12 foot (3.7 m) sidemounted paving mold slipforming a new on ramp for Interstate 80 in Council Bluffs, Iowa.